Howard Tagg is an experienced business bankruptcy attorney and can help you. 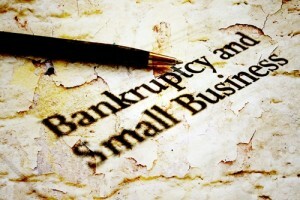 Bankruptcy can help you whether you wish to continue or shut down your business. The type of bankruptcy can benefit you the most depends on your business structure and if you intend to stay in business. There are many factors (from personal to financial) to consider before deciding to continue or close down your business. Is the Business Making Money? Chances are, you started your business to make a profit. If your business is consistently losing money (not just because it is a slow period) it may be time to close up shop. If you own a profitable company that is facing hard times due to temporary factors such as the economy, it may be a good idea to stay operational and weather the storm. Are the Assets of The Business Worth More Than Its Liabilities? If your business has more assets than liabilities, then it may be worth saving. If it is severely upside down, it may be time to cut your losses. Are You Personally Liable for Business Debts? If you are personally on the hook for the debts of your company, it may be more advantageous to keep it running (without taking on more debt), at least while you negotiate with creditors. Closing down the business may leave creditors with no option but to go after your personal assets if the business does not have enough assets to cover its liabilities. 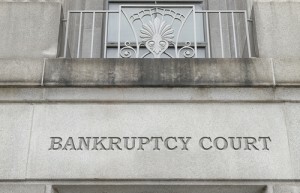 What Type of Bankruptcy Should You File if You Wish to Continue Your Business? The answer depends on how your business is organized and the amount of assets it has. A Chapter 7 bankruptcy can only help you if you are a sole proprietor (i.e. you are not incorporated or a partnership). If you are, then your personal Chapter 7 wipes out both personal and business debts, and allows you to use exemptions to protect the assets of your business. As a result, it is an attractive option for sole proprietors with little or no assets to wipe out their business debts and keep the business running. If you have nonexempt assets, however, the bankruptcy trustee will sell them to pay your creditors. In that case, a Chapter 7 may not be in your best interest. If your business is a separate legal entity like a partnership, corporation, or limited liability company (LLC), you cannot file Chapter 7 if you want to continue the business. In a business Chapter 7, there are no exemptions. The trustee simply sells the assets of the business, pays its creditors, and the business is shut down. Only individuals can file a Chapter 13 bankruptcy. So if your business is a partnership, corporation, or LLC you cannot file Chapter 13 on its behalf. If you are a sole proprietor, you can include both personal and business debts in your Chapter 13, just like a Chapter 7. A Chapter 13 may be your best option if your sole proprietorship has a significant amount of nonexempt assets because Chapter 13 is designed to let you keep all assets, reorganize your debts through a repayment plan, and continue operating the business. Partnerships, corporations, and LLCs must file a Chapter 11 bankruptcy instead of a Chapter 13 if they wish to reorganize their debts and stay in business. Chapter 11 is similar to Chapter 13 in that the business keeps its assets and pays creditors through a repayment plan. It is usually a lot more complicated and expensive than a Chapter 13, however, because the business must file continuing operating reports and the plan must be approved by creditors. Which Type of Bankruptcy Is Best When Closing Your Business? If you wish to close down your business, a Chapter 7 can provide a hassle free way to liquidate it. How much assets the business has and whether you are personally liable for its debts will determine whether a Chapter 7 is in your best interest. Chapter 7 is a liquidation bankruptcy normally used when closing down a business. There are no exemptions and the business does not receive a discharge. The bankruptcy trustee simply sells all business assets and distributes the proceeds among its creditors. The benefit of liquidating your business by filing a Chapter 7 is that the trustee does all the work for you. Additionally, the automatic stay of the bankruptcy court will immediately stop all pending litigation and collection activity against the business. 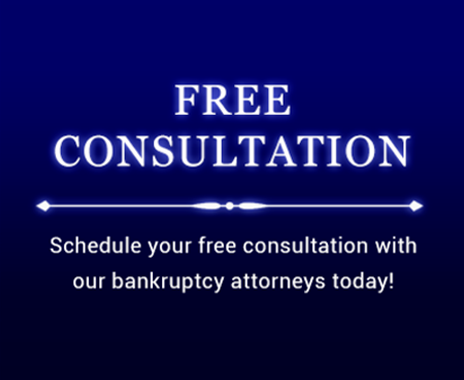 There are many factors to consider when filing a business bankruptcy, and it is essential to obtain the advice of competent bankruptcy counsel throughout the process in order to achieve the most beneficial outcome for you and your business.